[Royal Army Medical Corps publication.] Depot & Training Establishment, R.A.M.C. Squad Drill. North Hants Printing Co., Ltd., Fleet. Undated, but dating from the Second World War. 18pp., 16mo. Stapled pamphlet. In green printed wraps. In fair condition, lightly aged and creased. At head of first page: 'SQUAD DRILL | This Booklet is issued to assist R.A.M.C. personnel to become proficient at drill in threes. It is set out in plain language, the object being to help the reader to obtain a clear mental picture of the subject.' Undated, but found in a collection of Second World War medical pamphlets. (The British Library has five items from the printers, ranging in date from 1925 to 1937.) Excessively scarce: no copy traced, either on OCLC WorldCat or COPAC. [Printed item.] Seventy-eighth Annual Report and Documents of the New York Institution for the Instruction of the Deaf and Dumb, to the Legislature of the State of New York. For the year 1896. New York: Printed at the New York Institution for the Deaf and Dumb. 1907. 115 + pp., 8vo. With numerous full-page photographic views and portraits, printed in green and blue, including fold-outs. Also three-page illustration of the 'American Manual Alphabet'. In fair condition, on aged art paper, in grey printed wraps, with rusted staple and rear cover loose. No copy of this issue traced on OCLC WorldCat. [Printed item.] Eighty-ninth Annual Report and Documents of the New York Institution for the Instruction of the Deaf and Dumb to the Legislature of the State of New York. For the Year 1907. New York: Printed at the New York Institution for the Instruction of the Deaf and Dumb, by the Pupil Apprentices. 1908. 126 + pp., 8vo. With numerous photographic views and portraits, both full-page and in text, including fold-outs. 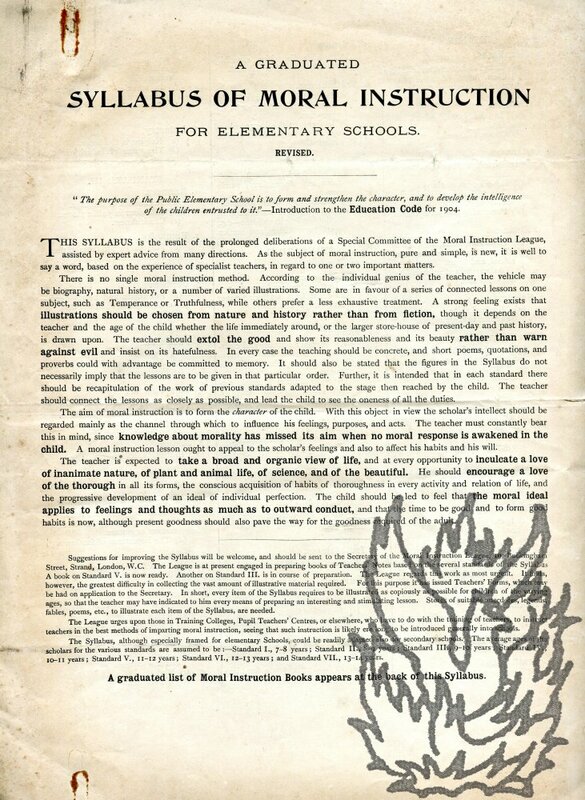 On aged art paper, with loose front cover only, to the back of which is fixed a printed label carrying a message from the Principal Enoch Henry Currier, drawing the reader's attention to the 'various departmental designs' within the volume, 'which, being the unassisted work of pupils, are illustrative of the PRACTICAL value of the INDUSTRIAL ART training here afforded'. No copy of this issue traced on OCLC WorldCat. [Printed item.] Eighty-first Annual Report and Documents of the New York Institution for the Instruction of the Deaf and Dumb, to the Legislature of the State of New York, For the Year 1899. New York: Printed at the New York Institution for the Instruction of the Deaf and Dumb, by the Pupil Apprentices. 1900. 128 + pp. In grey printed wraps. Label laid down inside front cover, carrying note from the Principal Enoch Henry Currier regarding the cover illustration, 'the unassisted work of a pupil, David Burt, Jr., nineteen years old, as illustrative of the practical value of the Art training here afforded'. In fair condition, aged and worn, with rusted staples, and stamp, shelfmarks and label of the Board of Education Reference Library, London. [Printed parliamentary paper.] Department of Agriculture and Technical Instruction for Ireland. Agricultural Statistics, Ireland, 1905. Report on Irish Migratory Labourers. Dublin: Printed for His Majesty's Stationery Office, by Alexander Thom & Co. (Limited) Abbey-Street. 1906. 48pp., 8vo. In light-green printed wraps. On lightly-aged paper, in worn and chipped wraps. Stamp, shelfmarks and labels of the Board of Education Reference Library. Scarce. [Printed items.] 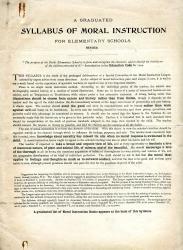 Run of annual reports of the Comité d'Instruction Publique, États de l'Ile de Jersey [Public Instruction Committee, States of Jersey] (text in English and French), with report by Medical Inspector and report on two schools. 22 items, comprising an unbroken run of 19 issues from 1912 to 1930, together with the issue for 1907, and a copy of the 'Report of the Jersey National & St. Helier's Parochial Schools. 1898-1899' (1900) and the 'Rapport de l'Inspecteur Médical pour l'Année 1916' (1917). In a sturdy green cloth box ('Supplied for the Public Service'). All with stamps, shelfmarks and labels of the Board of Education Reference Library. All 22 items are uniform 8vo booklets, stitched in pink printed wraps, ranging in length from 17 to 67pp. [Printed item.] Project of a Statute for the General Educational Scholastic Establishments of the Ministry of Public Instruction. + 106pp., 4to. On aged and worn paper, in damaged and heavily-worn printed wraps. Stamps, shelfmark and labels of the Board of Education Reference Library. Entirely in English, and with no explanation of why it should be so. Scarce: the only copies on COPAC at the British Library, Oxford and Cambridge, with OCLC WorldCat only adding a fourth copy at Leipzig. [Pamphlet by the City of Manchester Technical Instruction Committee.] Report of a Visit to Technical Colleges, Institutions, Schools, Libraries, Museums, and Works in the United States and Canada, April and May, 1898. 67pp., 8vo. In grey printed wraps. With stamp, shelfmark and labels of the Board of Education Reference Library, otherwise in fair condition, on aged and lightly-worn paper. No copy in the British Library; six copies on COPAC. [Printed pamphlet.] City of Manchester. Technical Instruction Committee. Report of the Deputation appointed to visit Technical Schools, Institutions, and Museums in Germany and Austria. July and August, 1897. 18pp., 8vo. Stapled. In blue printed wraps. Internally in good condition, on aged paper; the wraps worn, creased and chipped. With stamp, shelfmark and label of the Education Department Reference Library. No copy in the British Library, and the only copy on COPAC at Bristol. No date [circa 1905]. The Moral Instruction League, 19, Buckingham Street, Strand, London, W.C.
4to (leaf dimensions 30 x 22.5 cm): 4 pp. Bifolium. Text clear and complete. On aged paper with slight wear to extremities and rust staining from paper clips at head and tail. The League's object is given as 'To introduce systematic non-theological Moral Instruction into all schools, and to make the formation of character the chief aim of school life.' The first page contains a brief discussion of 'one or two important matters' relating to the subject. '[...] There is no single moral instruction method. [...] The aim of moral instruction is to form the character of the child.